Most gun lovers have seen just about every gun out there, and I’m pretty sure that the gun lovers I know will most likely know about the Punt Gun. The punt gun gave a whole new meaning to the term packing. 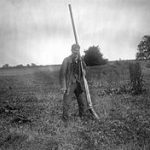 A punt gun is a type of extremely large shotgun used in the 19th and early 20th centuries for shooting large numbers of waterfowl for commercial harvesting operations. 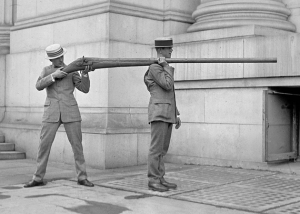 Punt guns were usually custom designed and so varied widely, but could have bore diameters exceeding 2 inches and fire over a pound of shot at a time. A single shot could kill over 50 waterfowl resting on the water’s surface. The guns were too big to hold and the recoil so large that they were mounted directly on the punts, which is a type of boat used for hunting, hence their name. 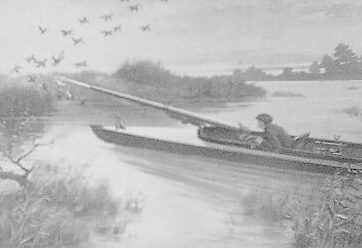 Hunters would maneuver their punts quietly into line and range of the flock of birds, resting on the water, using poles or oars to avoid startling the birds. Generally the gun was fixed to the punt, so the hunter would maneuver the entire boat in order to aim the gun. The guns were sufficiently powerful, and the punts themselves sufficiently small, so that firing the gun often propelled the punt backwards several inches or more. To improve efficiency, hunters could work in fleets of up to around ten punts. In many ways it was a cruel way to hunt. Waterfowl flocks were severely depleted in the United States, so by the 1860s most states had banned the practice. The Lacey Act of 1900 banned the transport of wild game across state lines, and the practice of market hunting was outlawed by a series of federal laws in 1918. There were still about 50 punt guns in the United Kingdom, as shown by a 1995 survey. The UK limits punt guns to a bore diameter of 1.75 inches by law. 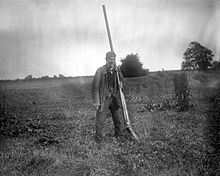 Since Queen Victoria’s Diamond Jubilee in 1897 there has been a punt gun salute every Coronation and Jubilee over Cowbit Wash in Cowbit, Lincolnshire, England. During the Diamond Jubilee of Elizabeth II, 21 punt gun rounds were fired separately, followed by the guns all being fired simultaneously. While the original use of punt guns was almost cruel, I suppose their latter uses is a much more noble way to use the guns. Everyone, at one time or another in their lives has thought about what it might be like to find a hidden treasure. There are many ways that could happen, from a hidden gold mine, to an auction, to the attic, but few can match what it would be like to find a buried treasure in a gold mine. It was the stuff dreams were made of, especially in the Old West. When gold was discovered in California, the Gold Rush started, and while few people ever found their fortune, many people made the journey to try their luck. Victorio Peak was not in California, but it was said to hold a huge cache of gold ingots. The treasure was first discovered by a soldier, who on his death bed in the 1600s, told a monk in a New Mexico monastery about his knowledge of a secret cache of gold ore in the mountains. The monk was Padre Felipe LaRue. LaRue put together a band that purportedly located the mine and successfully drew ore from it for three solid years. When the Mexican Army was sent to overtake LaRue’s operation, he ordered workers to close the entrance to the mine with a landslide and, soon thereafter, LaRue’s entire camp took information about the location with them to the grave at the hands of the soldiers. Fast forward to 1937, when a New Mexico couple named Ernest and Ova Noss were said to have stumbled upon a narrow entrance to this mine while hunting, and then returned several times to collect the heavy gold ingots from the secret location. When Ernest tried to open the mine further with a blast of TNT, it was inadvertently sealed despite repeated attempts to reopen it. When the White Sands Missile and Bombing Range was expanded in 1955 to include the land, Ova Noss supposedly sent a party to investigate and they reported that Army officials were seen digging near the site. Still, the Army never made any mention of the Victorio gold. In 1977, ground-penetrating radar identified an open area underground near where the Noss’ claim might have been. In the 1990s, a locked steel door was said to have been found covering the site of the original shaft. Whatever the case may be, a reported 88 solid gold ingots were brought forth from the mountains of New Mexico by the Noss couple, and it is unlikely the public will ever know exactly what became of the site and its associated treasure. 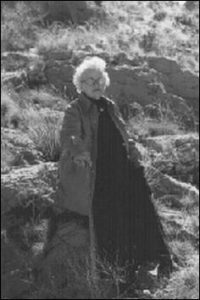 Some people think the whole legend is a con, but shortly before her death in 1979, Ova Noss was a the White Sands Missile Range seeking access to her claim. Access was denied, and to this day her family and their organization called The Ova Noss Family Partnership continue to push for access to the mine, although in my mind, it is doubtful that they would find much today, since the mine has been under the exclusive control of the missile base for a long time. Airplanes are able to do so much more and travel so much further these days than they were in World War II. Back then, planes had to be based in nations closer to the fighting, because bomb runs could not be done from US shores…too much distance. Nevertheless, it wasn’t because no one had considered such a possibility. On September 28, 1942, General Henry “Hap” Arnold ordered the highest priority be given to the development of two exceptional aircraft. 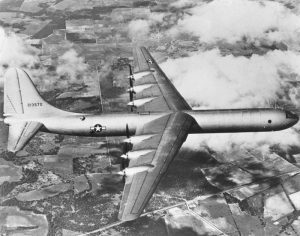 They were the B-35 Flying Wing and the B-36 Peacemaker, and they were intended for bombing runs from bases in the United States to targets in Europe. It could have potentially changed the way the war was fought…had everything worked out as planned. General Arnold was a man of distinction from the beginning of his career. Not only was he one of the first pilots in the US Signal Corps, but he was taught to fly by none other than one of the Wright brothers. During World War I, Arnold was director of aviation training for the Army. Between World War I and World War II, he was a proponent of the controversial military philosophy that emphasized strategic bombing, eliminating the need for the use of ground forces altogether. It was a noble idea, and could have potentially saved many lives, although I don’t know how feasible it really is. I think there are times when ground forces are the only way to go, but I have never fought in a war, so I could be wrong on that thought. When the United States entered into World War II, the Army Air Forces had become an increasingly distinct military service. General Arnold became its first chief. Along with this honor came the opportunity of a seat with the Joint Chiefs of Staff. Initially this was intended to boost his status to that of his counterpart in Britain, but it also increased the stature and independence of the Army Air Forces. 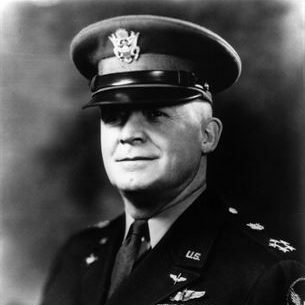 General Arnold was able to form alliances with British RAF allies who also favored the use of strategic bombing in lieu of ground-force operations. In 1942, Arnold gave the highest priority to the development of two extra long-distance transatlantic planes that would prove most useful to his strategic bombing game plan, the B-35 Flying Wing and the B-36 Peacemaker transatlantic bombers. The B-35 had been first proposed in early 1941, intended for use in defending an invaded Britain. But the tailless design was so radical that it was viewed as…maybe not safe, so the plane was put on the back burner. When I look at the plane, I can see how it might look unsafe, and really not flight worthy. The plans for the B-35 were finally revived because of advantages the plane afforded over the B-36 bombing range in relation to gross weight, for example. Fifteen B-35 planes were ordered for construction, but the first did not take flight until 1946, after World War II had ended. 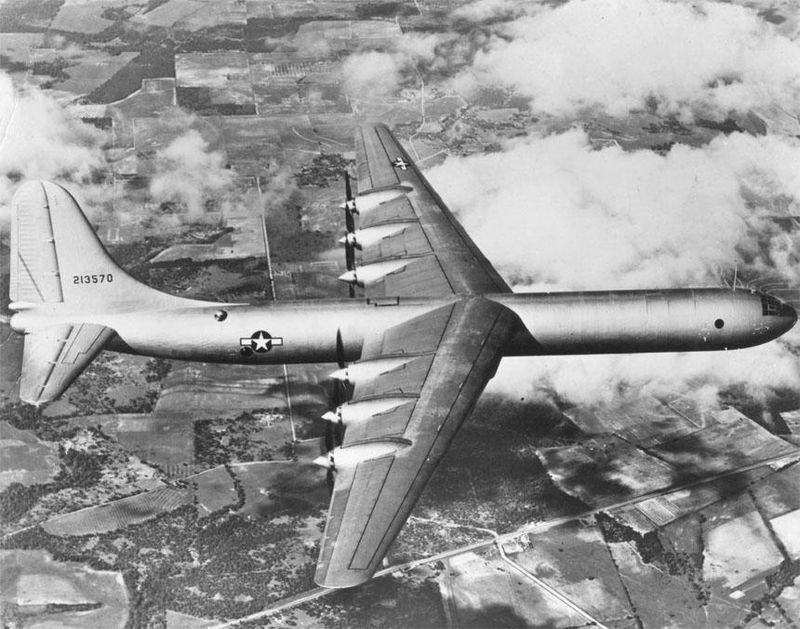 Designs for the B-36 were also developed early in 1941, on the assumption that the United States would inevitably be drawn into the war and it would need a bomber that could reach Europe from bases in America. 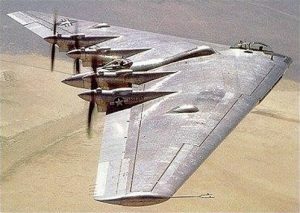 It was to be a massive plane…162 feet long with a 230 foot wingspan. But its construction lagged, and it was not completed until after the war ended either. Although Hap’s “high priority” could not cut through the military bureaucracy of his time, 1947 would see the Nation Defense Act establish an autonomous Air Force…a dream for which he had worked. The B-35 Flying Wing would become the prototype for the B-2 Stealth bomber built in 1989. And the B-36 was used extensively by US Strategic Air Command until 1959, but the B-36 Peacemaker never dropped a bomb. In Wyoming, where I live, traffic jams are pretty rare, but if you drive in the bigger cities, you can often find yourself stuck in heavy traffic, causing delays in reaching your destination. That can be quite annoying, but I seriously doubt if it is as annoying as the event that happened on September 3, 1967 in Sweden. 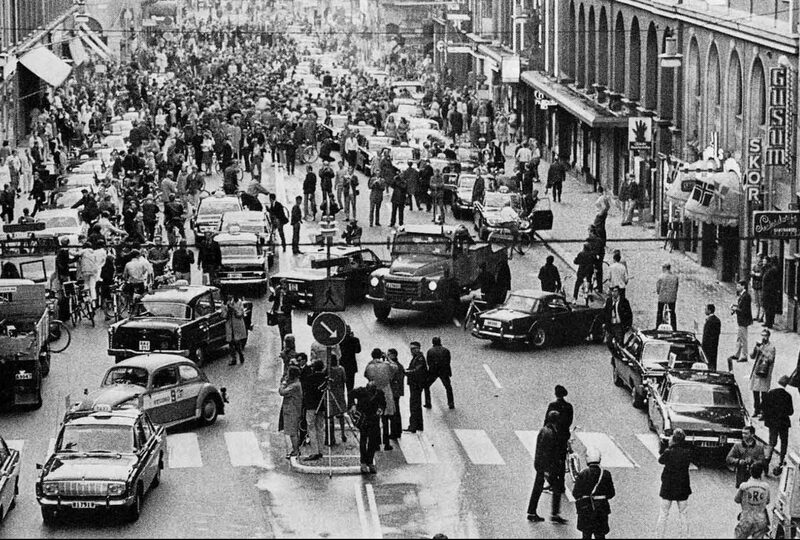 That September 3rd was known as Dagen H…or H Day, so named after the word, Högertrafik, which is Swedish for right traffic. Prior to that day, the Swedish people drove their automobiles on the left side of the road, even though most of their Scandinavian neighbors drove on the right side of the road. In fact, most of Europe was on the right side of the road. Swedish cars had left hand steering, because their early automotive era relied on imported American automobiles. Still, Sweden had maintained a dominant left-hand traffic system since the mid 18th century. Initially, the usage of American cars…with drivers positioned on the left side of the vehicle seemed to work well in their minds. It allowed them to negotiate the tight squeezes past oncoming traffic by paying close attention to the underdeveloped left shoulders of the country’s old roads. By the 1950s and 1960s, increased auto traffic and more developed roads created dangerous overtaking situations due to the mismatch of left-hand roads and American style left-side drive. Therefore, the Swedes implemented a switch for the sake of logic, safety, and consistency with their Scandinavian and continental counterparts. As often is the case, the change was not popular, and in a 1955 referendum, 83 percent voted to keep driving on the left. 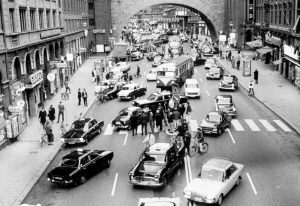 Nevertheless, on May 10, 1963, the Riksdag approved the introduction of right hand traffic in 1967, as the number of cars on the road had tripled from 500 000 to 1.5 million, and was expected to reach 2.8 million by 1975. A body known as Statens Högertrafikkommission (“the state right-hand traffic commission”) was established to oversee the changeover. As Dagen H neared, the intersections were equipped with an extra set of poles and traffic signals wrapped in black plastic. Early in the morning on Dagen H, workers roamed the streets to remove the plastic. On Dagen H, a Sunday, all non-essential traffic was banned from the roads from 1:00pm to 06:00pm. Any vehicles on the roads during that time had to follow special rules. All vehicles had to come to a complete stop at 4:50pm, then carefully change to the right-hand side of the road and stop again before being allowed to proceed at 5:00pm. In Stockholm and Malmö, however, the non-essential vehicle ban was longer…lasting from 10:00pm on Saturday until 3:00am on Sunday, to allow work crews to reconfigure intersections. Certain other towns also saw an extended ban, from 3:00am on Saturday until 3:00am on Sunday. Roads, crossings, roundabouts, and flyovers had already been redesigned and some 360,000 road signs were changed during the overnight hours. The date had also been preceded by an intensive national campaign, informing people about what was going to happen that day.Some 130,000 reminder signs had been put up everywhere along streets and roads, and most cars had an H-sticker on the dashboard in front of the driver in order to remind him or her to drive on the right side of the road. 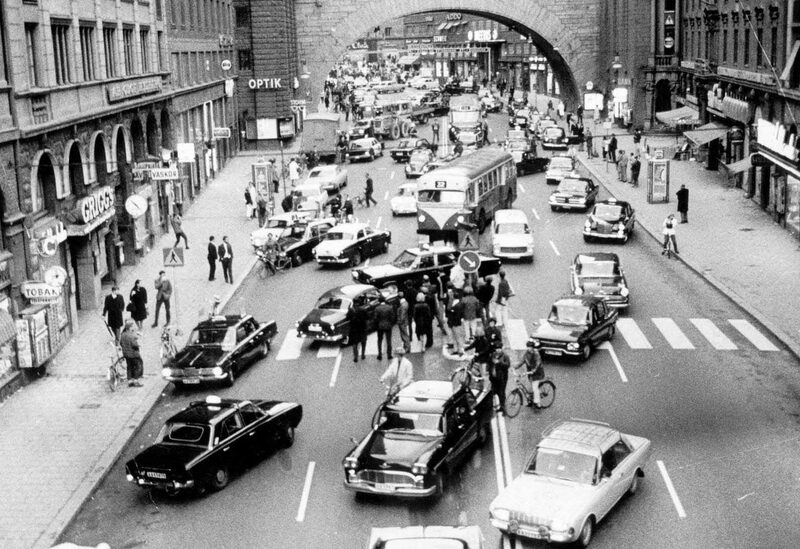 Very few cars in Sweden were right-hand drive at the time, despite the fact that Swedish road users had been living with left side traffic for 233 years. On the day of the change, only 157 minor accidents were reported, of which only 32 involved personal injuries, with only a handful serious. On the Monday following Dagen H, there were 125 reported traffic accidents, compared to a range of 130 to 198 for previous Mondays, none of them fatal. Experts suggested that changing to driving on the right reduced accidents while overtaking, as people already drove left-hand drive vehicles, giving them a better view of the road ahead. In addition, the change caused an increase in perceived risk and so was followed by very cautious behavior that caused a major decrease in road fatalities. Fatal car-to-car and car-to-pedestrian accidents dropped sharply, and the number of auto insurance claims went down by 40%. While all this was a good change, for a short time on that day, this was a serious traffic jam. On September 26, 1774, a man named John Chapman, who is my 6th cousin 6 times removed, was born in Leominster, Massachusetts. John was the second child, after his sister Elizabeth, of Nathaniel and Elizabeth Chapman. While Nathaniel was in military service, his wife died on July 18, 1776, shortly after giving birth to a second son, Nathaniel. The baby died about two weeks after his mother. Nathaniel Chapman ended his military service and returned home in 1780 to Longmeadow, Massachusetts. In the summer of 1780 he married Lucy Cooley of Longmeadow, Massachusetts, and they had 10 children. So in the end, John Chapman came from a large family. You might wonder what all this has to do with anything, and I suppose you would be justified in asking, but I think when you hear John Chapman’s nickname, you might know who I am talking about. 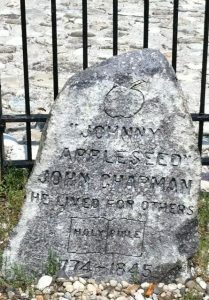 For most of his life, John Chapman was called, Johnny Appleseed. Most people will remember him from the history books, as an American pioneer nurseryman who introduced apple trees to large parts of Pennsylvania, Ontario, Ohio, Indiana, and Illinois, as well as the northern counties of present-day West Virginia. He became an American legend while he was still alive, due to his kind, generous ways, his leadership in conservation, and the symbolic importance he attributed to apples. These days plant nurseries are often named after Johnny Appleseed, including on in my city of Casper, Wyoming. According to some accounts, an 18 year old John persuaded his 11 year old half-brother Nathaniel to go west with him in 1792. The boys lived a nomadic life until their father brought his large family west in 1805 and met up with them in Ohio. Nathaniel decided to stay and help their father farm the land. A short time later, John began his apprenticeship as an orchardist under a Mr. Crawford, who had apple orchards, and so began his life’s journey of planting apple trees. 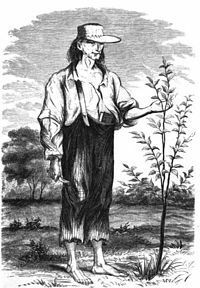 There are stories of Johnny Appleseed practicing his nurseryman craft in the area of Wilkes-Barre, Pennsylvania, and of picking seeds from the pomace at Potomac cider mills in the late 1790s. Another story has Chapman living in Pittsburgh on Grant’s Hill in 1794 at the time of the Whiskey Rebellion. The most popular image is of Johnny Appleseed spreading apple seeds randomly everywhere he went. In reality, he planted nurseries rather than orchards, and then built fences around them to protect them from livestock. Then he left the nurseries in the care of a neighbor who sold trees on shares, and returned every year or two to tend the nursery. His first nursery was planted on the bank of Brokenstraw Creek, south of Warren, Pennsylvania. Next, he seems to have moved to Venango County along the shore of French Creek, but many of his nurseries were in the Mohican area of north-central Ohio. This area included the towns of Mansfield, Lisbon, Lucas, Perrysville, and Loudonville. Johnny Appleseed was a bit of a missionary too. He would tell stories to children and spread The New Church gospel to the adults, receiving a floor to sleep on for the night, and sometimes supper, in return. “We can hear him read now, just as he did that summer day, when we were busy quilting upstairs, and he lay near the door, his voice rising denunciatory and thrillin—strong and loud as the roar of wind and waves, then soft and soothing as the balmy airs that quivered the morning-glory leaves about his gray beard. His was a strange eloquence at times, and he was undoubtedly a man of genius,” reported a lady who knew him in his later years. He made several trips back east, both to visit his sister and to replenish his supply of Swedenborgian literature. Swedenborgian was also known as Swedenborgianism and the General Church of the New Jerusalem. Several historically related Christian denominations were developed as a new religious movement, by the writings of Emanuel Swedenborg. Johnny preached the gospel as he traveled, and converted many Native Americans. The Native Americans regarded him as someone who had been touched by the Great Spirit, and even hostile tribes left him strictly alone. Johnny passed away about 1845, with several dates being given. I guess no one really knew the date for sure. I think my cousin might have been a very interesting man. Sometimes, a business starts up and then can’t make a go of it. Whatever the reason, things just don’t work out. Such was the case with a 1690 newspaper called Publick Occurrences Both Forreign and Domestick. 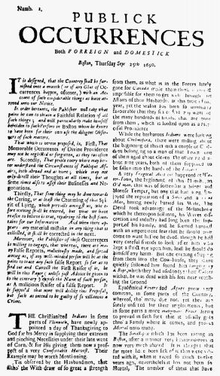 This newspaper was published for the first and last time on September 25, 1690, making it the shortest business on record. It would seem like such a business venture wouldn’t hold a very significant place in history, but it did have one distinction that gave it an important place. It was the first multi-page newspaper published in the Americas. Before then, single-page newspapers, called broadsides, were published in the English colonies and printed in Cambridge in 1689. The first edition of Publick Occurrences was published in Boston, then a city in the Dominion of New England, and was intended to be published monthly, “or, if any Glut of Occurrences happen, oftener.” It was printed by American Richard Pierce of Boston, and it was edited by Benjamin Harris, who had previously published a newspaper in London. The paper contained four 6 by 10 inch pages, but filled only three of them…not bad for a new newspaper. Of course, in those days, we were not an independent nation, and the Constitution did not exist. Freedom of the press…or any of the other freedoms that our soldiers and our nation have fought to give us, didn’t exist either. England was the ruler and the law, and we had to obey…for a time. Soon enough, change would come, as would freedom, and every kind of newspaper and other types of information sources imaginable. 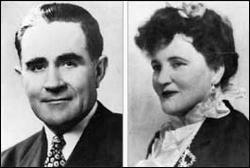 When President Kennedy was assassinated in Dallas, Texas on November 22, 1963, I was just a little girl of 8 years. I vividly remember how I found out about it. A neighbor girl came running across the street from her house to mine. I was on my way to meet her. It was in the middle of the street that I heard the news…our President had been assassinated. I was horrified, like most Americans were that day. It all seemed too impossible to comprehend. I knew nothing of politics back then, of course, I just knew that something horrible had happened to my country…the whole country. A nation doesn’t lose a president for any reason and not suffer from that loss. The loss of the president…the only president lost during office in my entire lifetime…not that attempts weren’t made or threatened, was so shocking to me. It’s something I will never forget. After the assassination, there was much controversy about what happened. Immediately…as always happens when anything big happens, there is a special commission appointed to find out what happened. I can see how that is important sometimes, but I don’t know that I think these commissions are always unbiased. 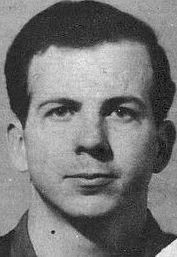 As with most events such as these, there were, and still are, many people who do not think that Lee Harvey Oswald acted alone…or that he was even involved at all. Seven days after the assassination, Johnson appointed the President’s Commission on the Assassination of President Kennedy to investigate Kennedy’s death, and on this day, September 24, 1964, the Warren Commission, headed up by Chief Justice Earl Warren, gave their report to President Lyndon B Johnson, who had been vice-president to President Kennedy, and therefore became president upon his death. Following the report, those who disagreed thought that the whole thing was a conspiracy. The conspiracy theories were many, including the Mob, Cuban exiles, military leaders, the secret service, and even Lyndon Johnson. The Warren Commission concluded that Oswald was the “lone gunman” in the assassination, but that failed to satisfy some who witnessed the attack and others whose research found conflicting details in the commission’s report. Critics of the Warren Commission’s report believed that additional ballistics experts’ conclusions and a home movie shot at the scene disputed the theory that three bullets fired from Oswald’s gun could have caused Kennedy’s fatal wounds as well as the injuries to Texas Governor John Connally, who was riding with the president in an open car as it traveled through Dallas’ Dealey Plaza that day. Eventually, another congressional investigation was conducted in 1979, but that committee reached the same conclusion as the Warren Commission. 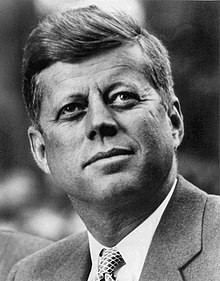 During its almost year-long investigation, the Warren Commission reviewed reports by the Federal Bureau of Investigation, Secret Service, Department of State and the attorney general of Texas. It also pored over Oswald’s personal history, political affiliations and military record. 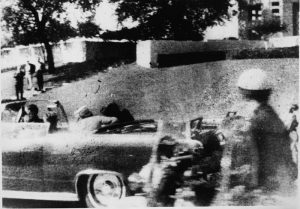 The Warren Commission listened to the testimony of 552 witnesses and even traveled to Dallas several times to visit the site where Kennedy was shot. The enormous volume of documentation from the investigation was placed in the National Archives and much of it is now available to the public. Access to Kennedy’s autopsy records, though, are highly restricted. To view them requires membership in a presidential or congressional commission or the permission of the Kennedy family. I am one of those who find the conclusion of the Warren Commission to be…very simplistic, and hard to believe. I have watched several documentaries about the assassination, including the video of the actual event, and it just doesn’t make sense. Be that as it may, the commissions have spoken, and nothing more will ever be done about it. The many people involved are all gone now, so there is no one to say what really happened. So we only know what we have been told, but most of it doesn’t make sense to me. 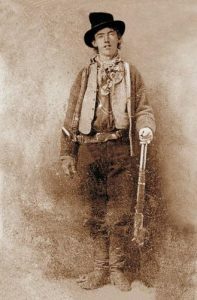 Every family has it’s black sheep, and I have recently found out that one of mine is that my 7th cousin 3 times removed is Billy the Kid. Most of the people in my family tree are good people, and many are presidents and even royalty, but there are still a few of them who were…a bit on the wild side. Billy the Kid was one of those. On September 23, 1875, William Henry McCarty was arrested for the first time after stealing a basket of laundry. I can’t imagine why he chose a basket of laundry, but that was his entry into the world of crime. The jails back then weren’t super secure, so Billy the Kid broke out of jail, and roamed the West, eventually earning a reputation as an outlaw and murderer and a rap sheet that allegedly included 21 murders. 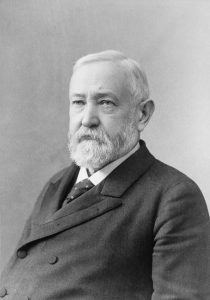 No one really knows much about William’s birth, other than his name and approximate year of birth…between 1859 and 1861, in Indiana or New York. William’s dad was never in his life, and the family moved around a lot, living in Indiana, Kansas, Colorado and Silver City, New Mexico. His mother died in 1874 and Billy the Kid…who went by a variety of names throughout his life, including Kid Antrim and William Bonney…turned to crime soon afterward. I guess that explains the decision to steal a basket of laundry. There are criminals who start out as good people, and then circumstances in their life force them to do things they might not otherwise do. Then, once they are into it, there is no going back. 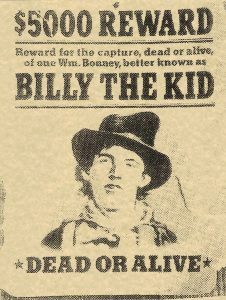 Billy the Kid became a horse thief in Arizona before returning to New Mexico, where he hooked up with a gang of gunslingers and cattle rustlers involved in the notorious Lincoln County War between a rival rancher and merchant factions in Lincoln County in 1878. It would be this time period that would eventually get him a death sentence. Billy the Kid wasn’t a big man, but rather had a slender build and prominent crooked front teeth. He loved to sing, and I have to wonder what he might have become had he chosen singing over crime. Nevertheless, after the Lincoln County War, he went on the lam and continued his outlaw’s life, stealing cattle and horses, gambling and killing people. His crimes earned him a bounty on his head and he was eventually captured and indicted for killing a sheriff during the Lincoln County War. Sentenced to hang for his crime, Billy the Kid managed to escape from jail one more time, murdering two deputies in the process. His freedom was short lived, however, as Sheriff Pat Garrett caught up with him at Fort Sumner, New Mexico, on July 14, 1881, and fatally shot him. 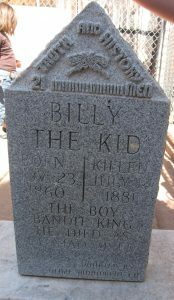 Billy’s legend grew following his short life and violent death. Today he is a famous symbol of the Old West, along with such men as Kit Carson, Jesse James, Wild Bill Hickok, Doc Holliday and Wyatt Earp, and like many criminals of the past, his story has been romanticized in numerous films, books, TV shows and songs. Each year, tourists visit the town of Fort Sumner, located about 160 miles southeast of Albuquerque, to see the Billy the Kid Museum and gravesite. My nephew, Jason Sawdon is a Wyoming Highway Patrolman by trade, and a very good one. He was even voted “Trooper of the Year” in 2015. 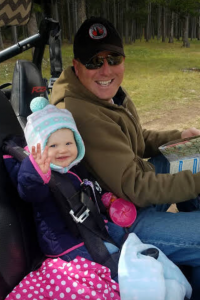 Jason is very proud of his role as a Wyoming Highway Patrolman, but that is not what he considers to be his most important job. 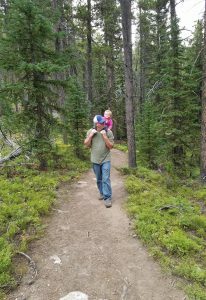 His most important job is being a husband to my niece, Jessi, and Daddy to their daughter, Adelaide. 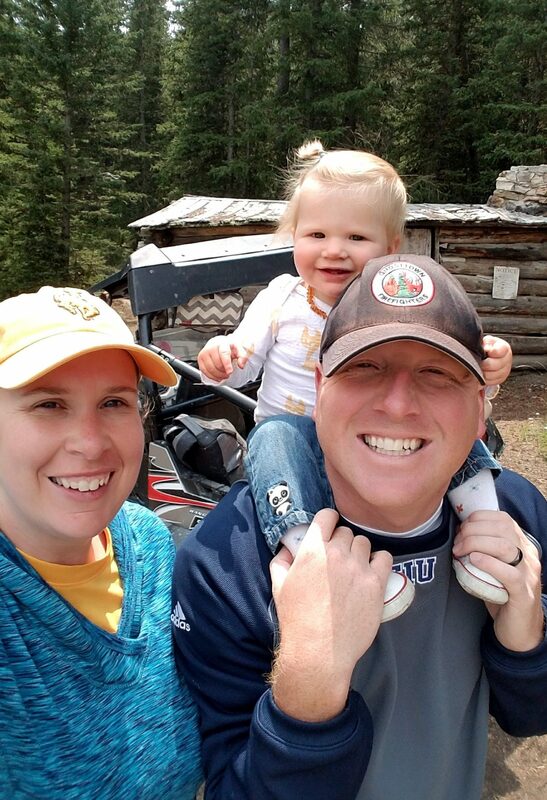 For Jason, having a family is the ultimate life success story. Your job is just your job, and while you are good at it, and like what you are doing, it is still your job, and it will never be as important as your family. This first year of being Adelaide’s daddy has been a busy one, because as you know, babies really do keep their parents busy. Having a child changes a person’s whole identity. Jason has gone from being Jason Sawdon, Wyoming Highway Patrolman, to being Adelaide’s Daddy. That will become more clear as time goes on, because all of her little friends will say, “You’re Adelaide’s daddy, right?” And that doesn’t really change…ever. Even when the kids are grown, people will ask you if you are their parent, so it is a new identity for the parent. And it’s one that they don’t mind, because that is their baby, and it’s really cool to have people acknowledge that. The older they get, the more surprising it is, but I still get asked if I am Corrie or Amy’s mom, so it’s a fun, and it’s definitely a lifelong name change for the parents. Jason has been taking his family to do lots of fun things. They have spent time on the mountain, hiking and camping, and they have gone to visit the grandparents that live in Michigan. Adelaide is a part of a big family, on both her parents sides, so it’s important that she get to know everyone. 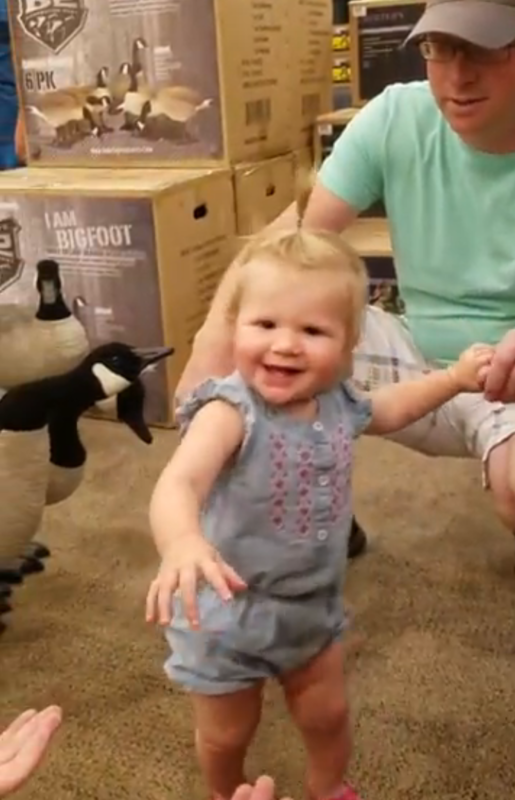 Adelaide had a great time visiting with everyone, and getting to know her cousins. 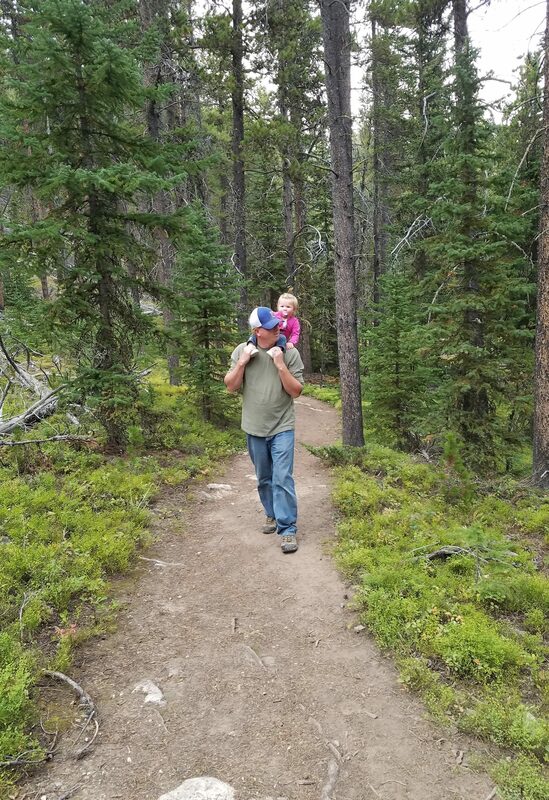 Of course, the first year being a daddy carries a lot of responsibility. There is much to teach your child, and lately, the focus has been on teaching Adelaide to walk. That is an important part of a child’s life, and a fun part of parenting. Jason and Jessi are great teachers, and of course, Adelaide is a model student, so she is now an accomplished walker. I know that the future will be a wonderful experience for Adelaide’s Daddy, and I look forward to watching them experience life. Today is Jason’s birthday. Happy birthday Jason!! Have a great day!! We love you!! These days, patriotism seems to be constantly under fire. The nation has basically taken sides on the issue. There are those who hate this country and all it stands for, and those who love this country despite its faults and any negative historical events. I am a patriot, and it is my belief that history is history, mistakes and all. It can’t be changed by tearing down a few statues, and certainly not by stomping on our flag. 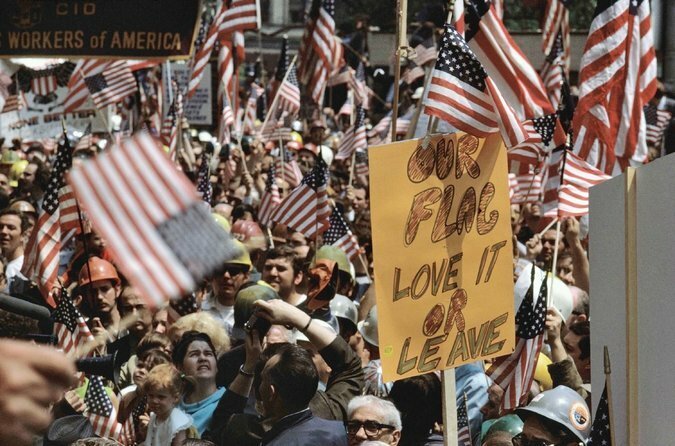 The patriots of this time feel the same as the patriots of the Vietnam era…”Our Flag, Love it or Leave.” I find it strange to think that this era is really no different than that era, or any other era of American history, or in fact, in the history of any nation. There are those who love their nation and are loyal to it, and those who tend to blow with the wind…only showing faithfulness when it suits their own agenda. In my opinion and the opinion of every patriot, these people who turn on our country just because things aren’t going their way, are traitors, and should be treated as such. There have been a number of traitors in our nations history, and I’m sure there will be many more, but one of the most famous of them all was Benedict Arnold. On this day in 1780, during the American Revolution, an American General named Benedict Arnold met with a British Major named John Andre to discuss the treasonous act of handing over West Point to the British. In return Arnold was promised of a large sum of money and a high position in the British army. The plot was foiled and Arnold, who was once considered an American hero, became synonymous with the word “traitor.” Benedict Arnold was not always a low life traitor. He was actually born into a well-respected family in Norwich, Connecticut, on January 14, 1741. He apprenticed with an apothecary and was a member of the militia during the French and Indian War from 1754 to 1763. Later, he became a successful trader and then joined the Continental Army when the Revolutionary War broke out between Great Britain and its 13 American colonies in 1775. When the war ended in 1783, the colonies had won their independence from Britain and formed a new nation…the United States. 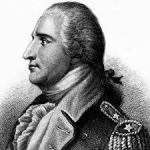 During the war, Benedict Arnold proved himself a brave and skillful leader, helping Ethan Allen’s troops capture Fort Ticonderoga in 1775 and then participating in the unsuccessful attack on British Quebec later that year, which earned him a promotion to brigadier general. Arnold distinguished himself in campaigns at Lake Champlain, Ridgefield and Saratoga, and gained the support of George Washington. However, Arnold also had some enemies within the military and in 1777, five men of lesser rank were promoted over him. I see that there were those who were not fooled by his presumed loyalty. Over the course of the next few years, Arnold married for a second time. He and his new wife lived a lavish lifestyle in Philadelphia, accumulating a large amount of debt. The debt and the resentment Arnold felt over not being promoted faster were the motivating factors in his decision to become a turncoat. In 1780, Arnold was given command of West Point, an American fort on the Hudson River in New York, and future home of the United States military academy, which was established in 1802. Arnold contacted Sir Henry Clinton, head of the British forces, and proposed handing over West Point and his men. On September 21, 1780, Arnold met with Major John Andre and made his traitorous pact. Thankfully, the conspiracy was uncovered and Andre was captured and executed. Arnold, the former American patriot turned traitor, fled to the enemy side and went on to lead British troops in Virginia and Connecticut. He later moved to England, though he never received all of what he’d been promised by the British. He died in London on June 14, 1801, having never realized the greatness he thought he would achieve. Now, when people think of a traitor, they often call them a Benedict Arnold. It is a huge insult to be called that.